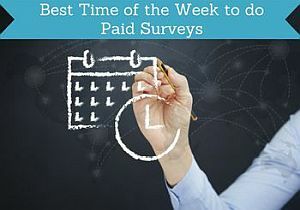 After having done thousands of paid surveys myself, I have seen some patterns in when it is the best time to do surveys, and what time of the week most surveys are available. 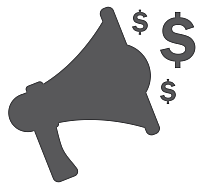 So to help you get the most out of doing paid surveys, and to avoid too many frustrations about not finding available surveys, I will share my experiences with you in this article and give a few tips. Does it matter what day of the week you do surveys? There can be some differences in what days of the week most surveys are available. So in that sense, it matters what days of the week you want to do paid surveys. But there is no difference in the size of the rewards you get for surveys, and you will for example not get higher rewards if you wait to do a survey for a particular time of the week. 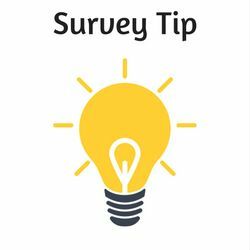 So in that sense, it does not matter what day of the week you take surveys – if there is a survey available on a particular day, you should just take the survey that day if it fits into your schedule. 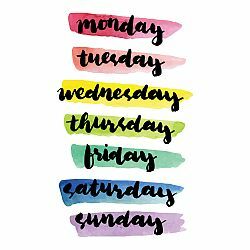 What weekdays are the best? As mentioned above, there can be some differences in what days of the week most surveys are available. There is not a set answer or schedule for this, but my experience tells me that there are in general most surveys on weekdays. I get by far the most opportunities for doing surveys from Monday-Friday. So these days are in general the best days to do surveys. That does however not mean that there are no options at all in the weekends, but it just means that it will be easier for you to find available surveys during the week. I am guessing that this might be because the survey companies also slow down during the weekends like most other people do, and therefore there will be fewer opportunities at that time. Anyways, no matter what the exact reason for this is, this is just how it is, and something we have to plan around when we want to make some money doing paid surveys. Are there seasons where you cannot find so many surveys? In addition to the day of the week, the number of survey opportunities can also vary from season to season. In general, you will find good survey opportunities most of the year with a few exceptions. During big holiday seasons like for example Christmas and New Year there will be fewer opportunities. This is because the big research companies that do market research and create the surveys naturally also have time off during these periods. Therefore, there will be fewer available surveys in periods like this. Again, this does not mean you cannot find any surveys at all. It just means that there will be fewer than usual. So if you are a member of a survey site that suddenly has fewer opportunities, it might just be because if the season. In most cases, the opportunities will come back as soon as the holiday season is over. Does it depend on the survey site? Overall most survey sites seem to have more surveys available during the weekdays. But there is some difference depending on the survey sites you are using. In general, the survey sites that send you invitations by email whenever there is an available survey (like for example GlobalTestMarket), will very rarely send you any invitations during the weekends. Sites where you have to log in to check what options are available, do have some opportunities in the weekends in my experience. These are the sites that often also offer more ways to earn than just surveys like for example PrizeRebel and SwagBucks. They will however not have as many opportunities as in the weekdays, but you can definitely find some – especially because these sites also offer other ways to earn than surveys, so if there are only a few surveys available, you can also use some other ways to earn. What if you only have time to do surveys at the weekends? If you only have time to do paid surveys in the weekends, you might think it is not worth joining survey sites after reading the above. But even if you only have time in the weekends, you can benefit a lot from survey sites. There are just a few things you have to be aware of and to consider, to avoid frustrations. If you are a member of survey sites that send out email invitations to available surveys, there is one thing you can do. You can always yourself decide when you want to click the link in these email invitations and when to do the surveys. So you can just save the emails, and do the surveys when it fits into your schedule. You do however have to be aware that surveys can expire and get filled up as there sometimes are a limited amount of answers needed. So if you get an email invitation on a Monday and save it until Saturday, it will probably have expired. But in many cases, you can wait for 1-2 days. In the weekends, you will also be able to find surveys and other earning opportunities on the sites where you have to log in to see the options. It just takes a bit more patience to find the available surveys in the weekends. But I know from experience that they are there. But you might have to click more links than usual to find the available ones. So you have to be a bit more patient at the weekends. Another thing to consider is also to use just a little time during the week to do surveys, even if you have a busy day. You can, for example, spend 5-10 minutes once in a while when you are waiting in line, waiting for public transportation, waiting at the dentist or something like that. Important tip if you join a survey site in a weekend! One thing I have heard from some people is that they give up on a survey site if they do not right away find opportunities for surveys. I have for example seen this on the survey site ClixSense. This is a great site, but it can also take a bit of patience sometimes to find available surveys – especially in the weekends. So if you join a site like this in the weekends, do not give up just because you do not right away qualify the surveys you try to do, or if you have to click several times to find available surveys. It is necessary to have a bit of patience, and if you join a survey site during the weekend, it is important to not only try it out that first day and then give up, if you do not find any available surveys right away. At least try it out over a week and spend a bit of time trying it out and testing the different options. In general, this is a great approach to surveys, even if you join on weekdays. Be a bit patient, know that you sometimes have to try several times to find available surveys, and after a little while, you will have figured out what is working for you and what the sites have to offer and how to use it the best ways. And then it is important to join the best survey sites in YOUR country as the opportunities vary from country to country. Then, surveys can be a great way to earn some extra money. If you have any questions, comments or any experiences with survey sites you would like to share, feel free to leave a comment below. I wonder if certain months are better or worse for surveys. Yes, there can be some differences depending on the time of the year. Especially around Christmas time, New Year, and at the beginning of January, there are usually fewer surveys available.